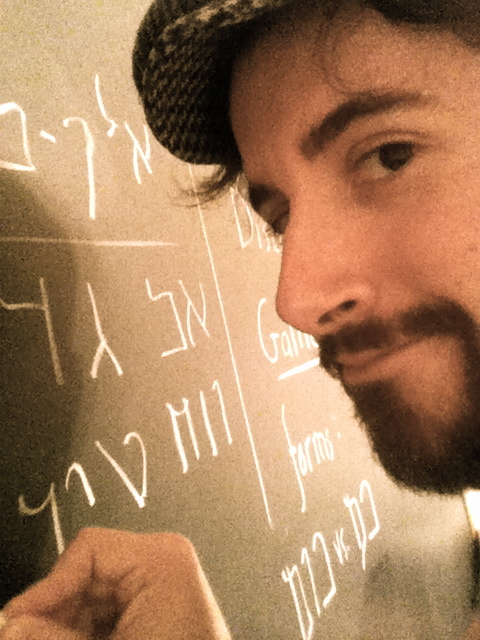 My Galilean Aramaic grammar that I’ve been working on for God-knows-how-long. GlossaHouse has expressed interest in publishing it – provided I can force myself to finish it without endless just-one-more-revision-itis. Getting the third series of Aramaic Lord’s Prayer Bracelets off the ground. My sister and I are having this series cast by Danforth Pewter so we can keep up with demand, and for those who want something more rugged than fine pewter, some other options in stainless steel and leather are being spearheaded by my other half. Considering options for some Aramaic-related multimedia and research projects with students over at RVCC (lexical databasing for Galilean, interactive learning tools, etc.). 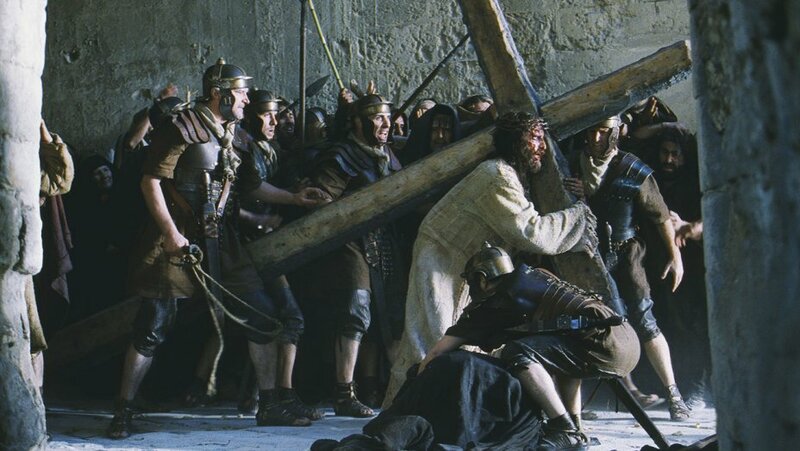 Passion of the Christ Sequel? Apparently, a sequel is in the works. A 1,500-year-old marble slab found on the eastern shore of the Sea of Galilee Wednesday provides the first real proof of ancient Jewish settlement in the area, archaeologists say. The large slab, which bears an Aramaic inscription in Hebrew script, was dug up on the eastern shore of the Sea of Galilee on Wednesday as part of an ongoing excavation in the ancient town of Kursi. 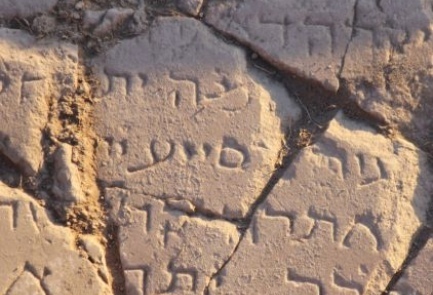 Experts say the slab probably dates to around 500 C.E., when the Hebrew alphabet was used by Jews and some local Christian communities. This suggest that Kursi was either a Jewish community or a mixed Christian-Jewish settlement. Researchers could only discern two words: “Amen” and “Marmaria,” the latter possibly referring to Jesus’ mother, Mary. 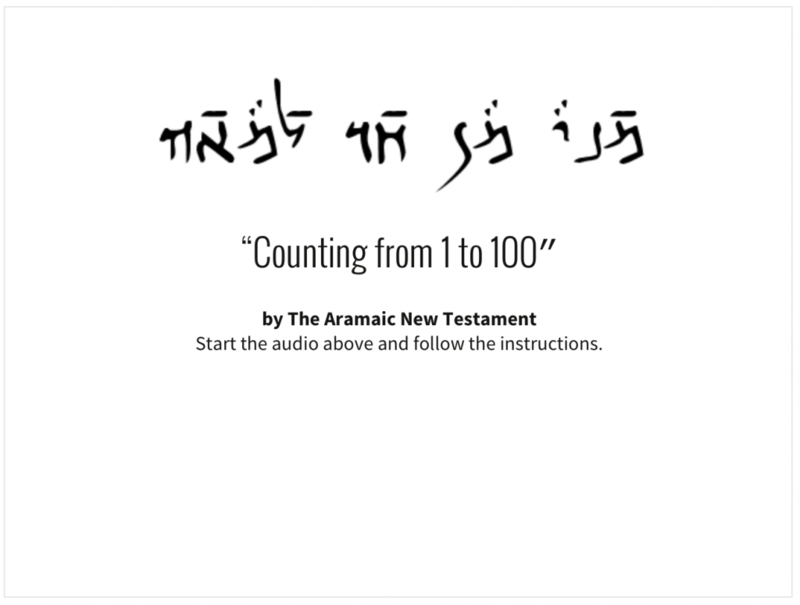 Lesson on Aramaic Numbers Up! The bulk of the next lesson on counting is up! Click here to view it. Presently the lesson is complete for numbers between 1 and 100, and — where the slides are up — I’m putting the final edits on the audio for how numbers up to and beyond 10,000 work as well as the final part which goes over Aramaic numerical notation for both numerals ( = 1,234) and gematria ( = 1,234).